I was the one who really saw that! 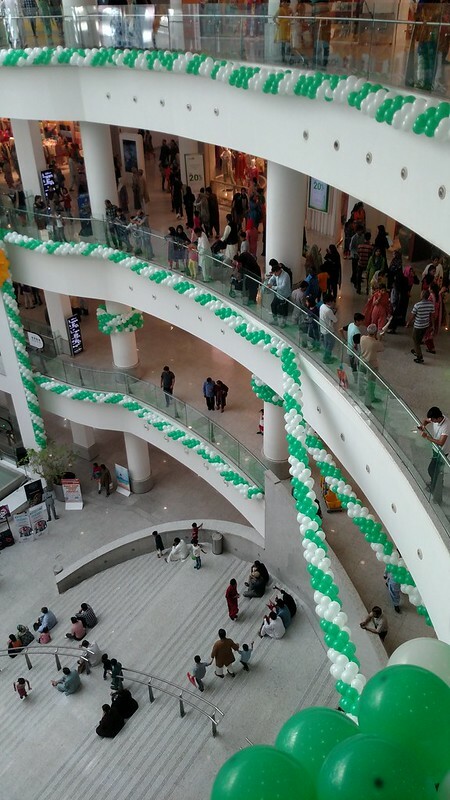 Out of all those individuals roaming inside Karachi’s giant LuckyOne Mall, hopping from one branded outlet to another and sniffing around for cheapest deals, I’m pretty sure that those who paid attention to these balloony curves, can be counted up on fingers. 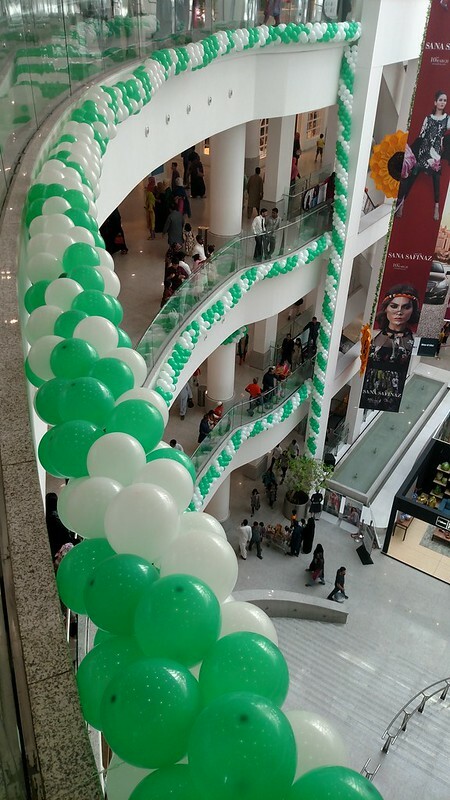 Last March, the management of LuckyOne surely did a wonderful job to celebrate Pakistan Resolution Day by hooking up these green and white balloons across the railing on all floors. lol I am blessed that our only shopping mall is at ground level eg no more floors, and not so long. Have been frequenting it far too often for my net access issues so think I will be divorcing that provider very soon! That’s hard work right there! Great capture! A great idea for decorating and for the challenge. Thanks for joining! Thank you very much, Tina. But the real credit goes to those unknown hands who must’ve spent hours in creating this.